FOD deflection system on a PT6T installed on a Bell 412. 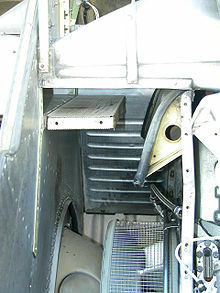 Air enters from upper right, and pure air follows the curved ramp down to the compressor inlet (also covered by a screen). Any debris being sucked in will have enough momentum that it will not make such a sharp bend, and will hit the screen on the upper left, and will be carried out to the left, getting blown overboard. In aviation, foreign object debris (FOD) is any article or substance, alien to an aircraft or system, which could potentially cause damage. External FOD hazards include bird strikes, hail, ice, sandstorms, ash-clouds or objects left on the runway. Internal FOD hazards include items left in the cockpit that interfere with flight safety by getting tangled in control cables, jam moving parts or short-out electrical connections. The term FOD is used to describe both the foreign objects themselves, and any damage attributed to them. FOD can be internal or external. Internal FOD is damage or hazards caused by foreign objects inside the aircraft. For example, cockpit FOD is a situation where an item gets loose in the cockpit and jams or restricts the operation of the controls. Tool FOD is a serious hazard caused by tools left inside the aircraft after manufacturing or servicing. Tools or other items can get tangled in control cables, jam moving parts, short out electrical connections, or otherwise interfere with safe flight. Aircraft maintenance teams usually have strict tool control procedures including toolbox inventories to make sure all tools have been removed from an aircraft before it is released for flight. Tools used during manufacturing are tagged with a serial number so if they are found they can be traced. Aircraft parts, rocks, broken pavement, ramp equipment. Garbage, maintenance tools, etc. mistakenly or purposely deposited on tarmac and/or runway surfaces. Hail: can break windshields and damage or stop engines. Bird collisions with engines or other sensitive parts of the aircraft. Dust or ash clogging the air intakes (as in sandstorms in desert operating conditions or ash clouds in volcanic eruptions). For helicopters, this is also a major problem during a brownout. Tools, bolts, metal shavings, lockwire, etc. mistakenly left behind inside aircraft during the manufacturing process or maintenance. All aircraft may occasionally lose small parts during takeoff and landing. These parts remain on the runway and can cause damage to tires of other aircraft, hit the fuselage or windshield/canopy, or get sucked up into an engine. Although airport ground crews regularly clean up runways, the crash of Air France Flight 4590 demonstrated that accidents can still occur: in that case, the crash was said to have been caused by debris left by a flight that had departed only four minutes earlier. A foreign object damage walk down aboard the aircraft carrier USS John F. Kennedy (CV 67). On aircraft carriers, as well as military and some civilian airfields, sweeps are conducted before flight operations begin. A line of crewmen walk shoulder to shoulder along the flight operations surfaces, searching for and removing any foreign objects. 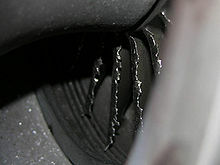 Modern jet engines can suffer major damage from even small objects being sucked into the engine. The FAA (Federal Aviation Administration) requires that all engine types pass a test which includes firing a fresh chicken (dead, but not frozen) into a running jet engine from a small cannon. The engine does not have to remain functional after the test, but it must not cause significant damage to the rest of the aircraft. Thus, if the bird strike causes it to "throw a blade" (break apart in a way where parts fly off at high speed), doing so must not cause loss of the aircraft. Some military aircraft[which? ]had a unique design to prevent FOD from damaging the engine. The design included an S-shaped bend in the airflow, so that air entered the inlet, was bent back towards the front of the plane, and bent back again towards the back before entering the engine. At the back of the first bend a strong spring held a door shut. Any foreign object flying in the intake flew in, hit the door, opened it, flew through, and then exited the aircraft. Thus, only small objects swept up by the air could enter the engine. This design did indeed prevent FOD problems, but the constriction and drag induced by the bending of the airflow reduced the engine's effective power, and thus the design was not repeated. A similar approach is used on many turboshaft-powered helicopters, such as the Mi-24, which use a "vortex-type" or "centrifugal" intake, in which the air is forced to flow through a spiral path before entering the engine; the heavier dust and other debris are forced outwards, where it is separated from the airflow before it enters the engine inlet. The Russian Mikoyan MiG-29 and Sukhoi Su-27 fighters have a special intake design to prevent ingestion of FOD during take-off from rough airfields. The main air intakes could be closed with mesh doors and special inlets on the top of the intakes temporarily opened. This would allow enough airflow to the engine for take-off but reduced the chances of the engine sucking up objects from the ground. Another interesting design to minimize the risk of FOD is the Antonov An-74 which has a very high placement of the engines. Boeing offered a gravel runway kit for early 737s that allows the plane to be used from unimproved and gravel runways, in spite of having very low-slung engines. This kit included gravel deflectors on the landing gear; foldaway lights on the bottom of the plane; and screens that prevented gravel, entering the open wheelwells when the gear was extended, from hitting critical components. It also included vortex dissipators, devices that would reduce the airflow into the engine from the bottom so as to reduce the likelihood of ingesting gravel. Airbus are investigating a novel approach to reducing FOD. By developing, in conjunction with Israel Aerospace Industries, the Taxibot, a tractor controlled by the pilot, aircraft will not need to use jet engines while taxiing, so will not be vulnerable to FOD on aprons or taxiways. The crash of a Concorde, Air France Flight 4590, at Charles de Gaulle Airport near Paris on 25 July 2000 was caused by FOD; in this case a piece of titanium debris on the runway which had been part of a thrust reverser that had fallen from a Continental Airlines McDonnell Douglas DC-10 during takeoff about four minutes earlier. All 100 passengers and nine crew on board the flight, as well as four people on the ground, were killed. A Gates Learjet 36A, registration number N527PA, was taking off from Newport News/Williamsburg International Airport in Virginia on March 26, 2007, when the crew heard a loud "pop". Aborting the takeoff, the crew tried to control the "fishtailing" and activate the drogue parachute. The parachute did not work and the Learjet ran off the runway, its tires blown. Airport personnel reported seeing rocks and pieces of metal on the runway after the accident. The National Transportation Safety Board said that the accident was caused by FOD on the runway. Failure of the drogue parachute contributed to the accident. On 24 June 1982, British Airways Flight 9 en route to Perth, Australia, flew into a volcanic ash cloud over the Indian Ocean. The Boeing 747-200B suffered engine surges in all four engines until they all failed. The passengers and crew could see a phenomenon known as St. Elmo's fire around the plane. Flight 9 dived down until it exited the cloud allowing the airborne ash to clear the engines, which were then restarted. The cockpit windshield was badly pitted by the ash particles but the aircraft landed safely. On 15 December 1989, KLM Flight 867, en route to Narita International Airport, Tokyo flew through a thick cloud of volcanic ash from Mount Redoubt, which had erupted the day before. The Boeing 747-400's four engines flamed out. After descending more than 14,000 feet, the crew restarted the engines and landed safely at Anchorage International Airport. An unusual case of FOD occurred on 28 September 1981 over Chesapeake Bay. During flight testing of an F/A-18 Hornet, the Naval Air Test Center of the United States Navy was using a Douglas TA-4J Skyhawk as a chase plane to film a jettison test of a bomb rack from the Hornet. The bomb rack struck the right wing of the Skyhawk, shearing off almost half the wing. The Skyhawk caught fire within seconds of being struck; the two persons on board ejected. On 20 November 1975 a Hawker Siddeley HS.125 taking off at Dunsfold Aerodrome flew through a flock of northern lapwings immediately after lifting off the runway and lost power in both engines. The crew landed the aircraft back on the runway but it overran the end and crossed a road. The aircraft struck a car on the road, killing its six occupants. Although the aircraft was destroyed in the ensuing fire, the nine occupants of the aircraft survived the crash. On 17 November 1980 a Hawker Siddeley Nimrod of the Royal Air Force crashed shortly after taking off from RAF Kinloss. It flew through a flock of Canada geese, causing three of its four engines to fail. The pilot and copilot were killed; the pilot was subsequently posthumously awarded an Air Force Cross for his actions in maintaining control of the aircraft and saving the lives of the 18 crew. The remains of 77 birds were found on or near the runway. On January 15, 2009, US Airways Flight 1549 flew into a flock of Canada geese and suffered a double engine failure. The pilot ditched the aircraft in the Hudson River, saving the lives of all on board. People working near aircraft have been sucked into jet engines. Some have died from their injuries. Significant problems occur with airports where the grounds were or have become nesting areas for birds. While fences can prevent a moose or deer from wandering onto a runway, birds are more difficult to control. 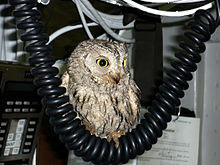 Often airports employ a type of bird scarer that operates on propane to cause a noise loud enough to scare away any birds that might be in the vicinity. Airport managers use any means available (including trained falcons) to reduce bird populations. Another solution under investigation is the use of artificial turf near runways, since it does not offer food, shelter, or water to wildlife. In the United States, the most prominent gathering of FOD experts has been the annual National Aerospace FOD Prevention Conference. It is hosted in a different city each year by National Aerospace FOD Prevention, Inc. (NAFPI), a nonprofit association that focuses on FOD education, awareness and prevention. Conference information, including presentations from past conferences, is available at the NAFPI Web site. However, NAFPI has come under some critique as being focused on tool control and manufacturing processes, and other members of the industry have stepped forward to fill the gaps. BAA hosted the world's first airport-led conference on the subject in November 2010. The negative effects from FOD can be reduced or entirely eliminated by introducing compressive residual stresses in critical fatigue areas into the part during the manufacturing process. These beneficial stresses are induced into the part through cold working the part with peening processes: shot peening, or laser peening. The deeper the compressive residual stress the more significant the fatigue life and damage tolerance improvement. Shot peening typically induces compressive stresses a few thousandths of an inch deep, laser peening typically imparts compressive residual stresses 0.040 to 0.100 inches deep. Laser peen induced compressive stresses are also more resistant to heat exposure. Internationally, FOD costs the aviation industry US$13 billion per year in direct plus indirect costs. The indirect costs are as much as ten times the direct cost value, representing delays, aircraft changes, incurred fuel costs, unscheduled maintenance, and the like. and causes expensive, significant damage to aircraft and parts and death and injury to workers, pilots and passengers. "There are other costs that are not as easy to calculate but are equally disturbing," according to UK Royal Air Force Wing Commander and FOD researcher Richard Friend. "From accidents such as the Air France Concorde, Flight AF 4590, there is the loss of life, suffering and effect on the families of those who died, the suspicion of malpractice, guilt, and blame that could last for lifetimes. This harrowing torment is incalculable but should not be forgotten, ever. If everyone kept this in mind, we would remain vigilant and forever prevent foreign object debris from causing a problem. In fact, many factors combine to cause a chain of events that can lead to a failure." There have only been two detailed studies of the economic cost of FOD for civil airline operations. The first was by Brad Bachtel of Boeing, who published a value of $4 billion USD per year. This top-down value was for several years the standard industry figure for the cost of FOD. The second work (2007) was by Iain McCreary from the consultancy Insight SRI Ltd. This more detailed report offered a first-cut of the cost of FOD, based on a bottom-up analysis of airline maintenance log records. Here, data was broken into per flight direct costs and per flight indirect costs for the top 300 global airports, with detailed footnotes on the supporting data. The Insight SRI research was a standard reference for 2007-2009 as it was the only source presenting costs and thus was quoted by regulators, airports, and technology providers alike. However, while that 2007 Insight SRI paper remains the best free public source of data, the new analysis (2010) from Insight SRI offers new numbers. The author of the new report (not free) says "Readers are cautioned not to rely on or in the future refer to numbers from the 2007-08 Insight SRI paper The Economic Cost of FOD to Airlines. This earlier effort was 'The' first document detailing the direct and indirect cost of FOD that was based on airline maintenance data (the entire document was a single page of data, followed by 8 pages of footnotes)." Per-flight direct costs of $26 are calculated by considering engine maintenance spending, tire replacements, and aircraft body damage. The study concludes that when these indirect costs are added, then the cost of FOD increases by a multiple of up to 10 times. ^ a b "Foreign Object Debris and Damage Prevention". Boeing Aero Magazine. Retrieved 2008-10-28. ^ According to the National Aerospace Standard 412, maintained by the National Association of FOD Prevention, Inc.
^ The "Damage" term was prevalent in military circles, but has since been pre-empted by a definition of FOD that looks at the "debris". This shift was made "official" in the latest FAA Advisory Circulars FAA A/C 150/5220-24 'Airport Foreign Object Debris (FOD) Detection Equipment' (2009) and FAA A/C 150/5210-24 'Airport Foreign Object Debris (FOD) Management'. Eurocontrol, ECAC, and the ICAO have all rallied behind this new definition. As Iain McCreary of Insight SRI put it in a presentation to NAFPI (August 2010), "You can have debris present without damage, but never damage without debris." Likewise, FOD prevention systems work by sensing and detecting not the damage but the actual debris. Thus FOD is now taken to mean the debris itself, and the resulting damage is referred to as "FOD damage". ^ "Unpaved Strip Kit". The (unofficial) 737 Technical Site. Retrieved 2008-08-09. ^ "A Brief Description of the 737 Family of Airplanes" (PDF). October 2005. Retrieved 2008-08-09. ^ "Airbus MoU with IAI to explore eco-efficient 'engines-off' taxiing". Retrieved 2009-07-30. ^ List of ejections from aircraft in 1981. Retrieved: 30 August 2008. ^ Page with link to WMV clip of destruction of TA-4J BuNo. 156896. Retrieved 30 August 2008. ^ AAIB Official Report of the investigation into the crash of HS.125-600B registration G-BCUX retrieved 2010-05-19. ^ Aviation Safety Network XV256 accident page retrieved 2008-01-23. ^ "Aftermath Of Man Being Sucked Into Jet Plane Engine". Sickchirpse. 9 October 2013. Retrieved 23 January 2017. ^ "BAA Global FOD Conference". BAA London Heathrow Airport. Retrieved 2010-12-02. ^ "YVR Airport". TV Interview. Retrieved 2009-07-30. ^ "FAA Advisory Circular" (PDF). Retrieved 2009-09-21. ^ "Runway Safety - FOD, Birds, and the Case for Automated Scanning". Insight SRI Ltd. Retrieved 2010-12-02. ^ "The Economic Cost of FOD to Airlines" (PDF). Insight SRI Ltd. Retrieved 2008-10-29. ^ a b "The Economic Cost of FOD to Airlines". Insight SRI Ltd. Retrieved 2008-10-28. ^ "The economic cost of FOD to airlines" (PDF). Insight SRI Ltd. March 2008. Wikimedia Commons has media related to Foreign object damage.